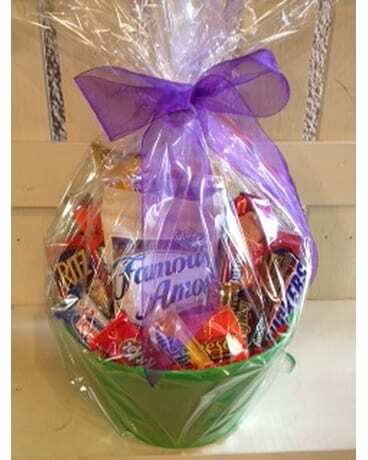 Our candy and snack baskets are made-to-order. Sizes and content vary due to price selection. They can be customized to fit dietary needs. From novelty to gourmet; chocolate-lovers or game day baskets.